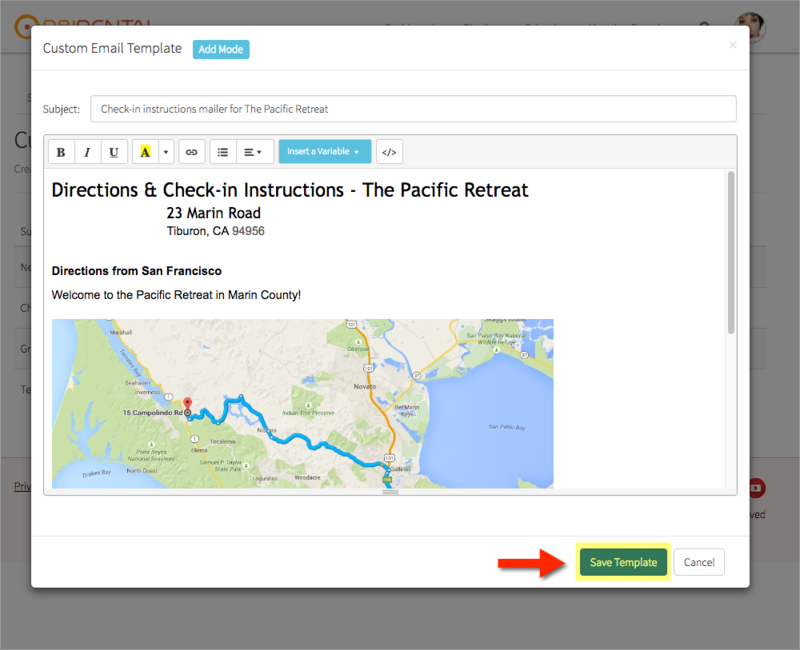 On the Custom Templates tab, select either an Email Template or a SMS Template. Once the editor is up, create your message and click on Save Template (Note that at this point, we don't have a content auto-save feature, so be sure to save your work often). 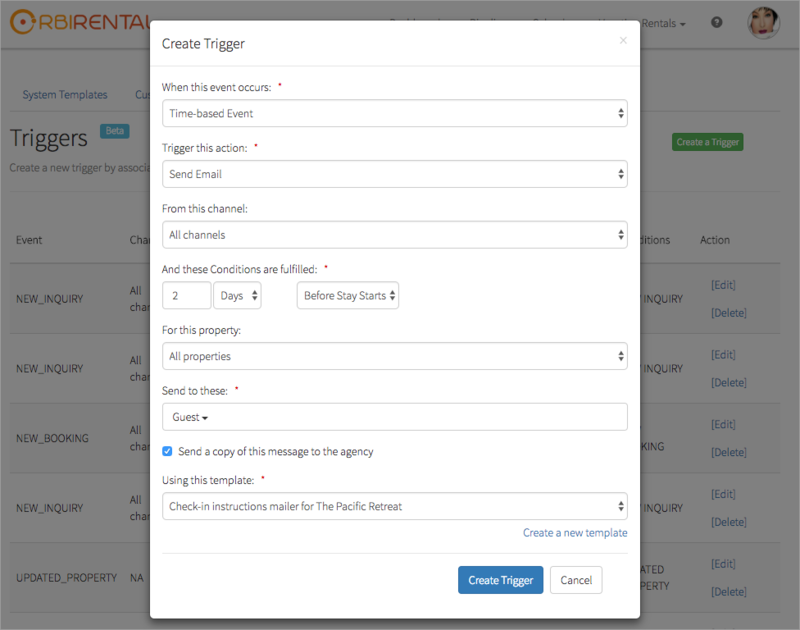 Triggers essentially allow user to define the conditions that will be constantly evaluated by the system as a base to sending automated messages. 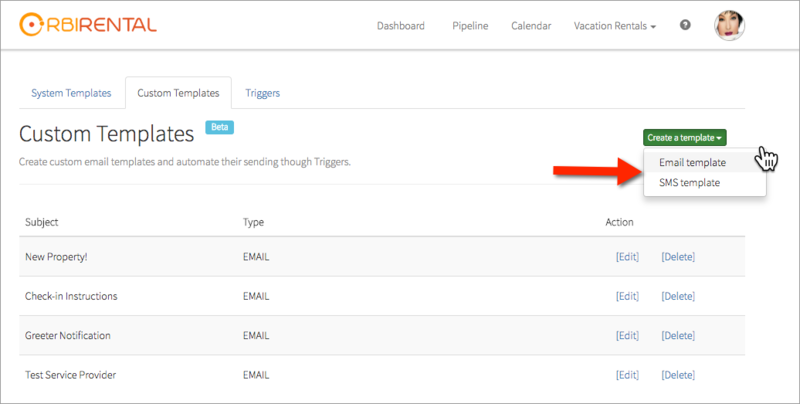 Triggers can be based off the occurrence of a particular event happened on the system (like you receiving a new booking, or a new inquiry), or based off a particular scheduling criterion (send an email 2 hours after check-out of my guests). 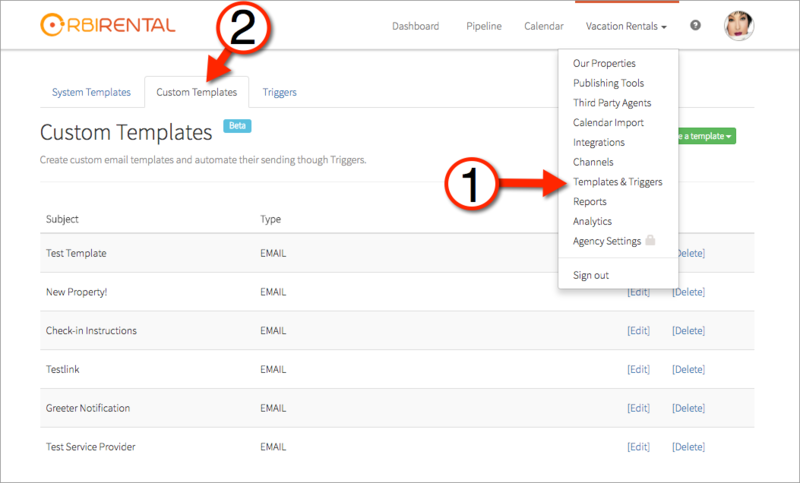 So, once you've saved your custom template, head to the Triggers tab and hit "Create a Trigger". the triggering event: you can choose a particular system event or a time-based event. Time based events are scheduled triggers that fire at a particular scheduled time before or after a system event. Hostfully allows you to send a message directly to a guest's Airbnb Inbox. 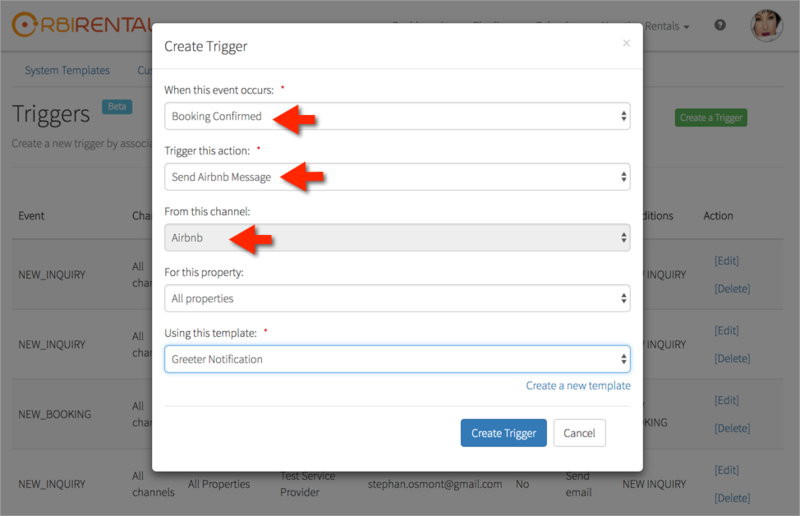 This is an important option, which allows you to automatically keep a high response time rate on your Airbnb account. Please see this article from Airbnb to understand the importance of speedy responses to guest requests, and how this can impact your ranking in search results on Airbnb.